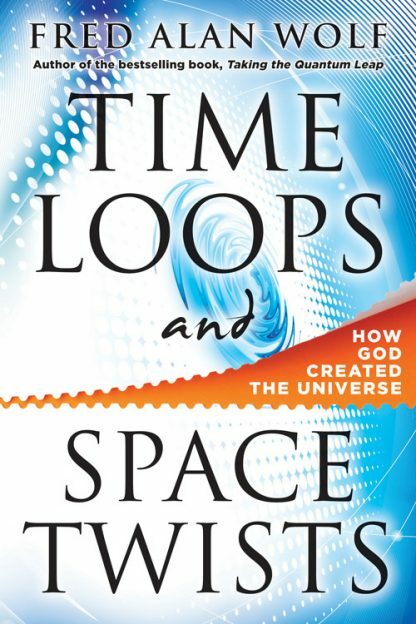 Red Wheel ∕ Weiser Online Bookstore | Time Loops and Space Twists: How God Created the Universe by Fred Alan Wolf, Ph.D.
Making comparisons to Hindu Vedic and Judeo-Christian cosmology, Dr. Wolf explains how the universal command of the Deity �Let there be light� now takes on a new scientific meaning: Everything is literally made of light and the reader will learn how quantum physics proves this is so. Fred Alan Wolf, Ph.D. works as a physicist, writer, and lecturer. His work in quantum physics and consciousness is well known through his popular and scientific writing. He is the author of fourteen books, including Taking the Quantum Leap, which was the recipient of the prestigious National Book Award for Science.